The interest in wood turning began as a teenager exploring spindle forms on an antique lathe. While the mechanics of the process were intriguing, the full extent of the creative potential didn’t become apparent until much later. A connection was made to the turned form about twenty years ago when I started collecting the bowls of modern Hawaiian turners. I was impressed with their natural beauty and began to understand how the form, the character of the wood and a fine finish work together to produce a bowl that will become an heirloom piece. 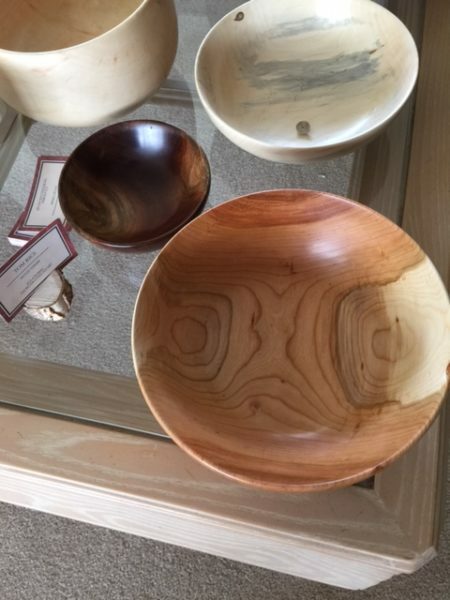 When I finally began turning bowls, my first preference was to use wood from sustainable sources and try to respect the wood. A tree is a unique medium in that it has recorded it’s own history. It has shaded our family gatherings. Commemorated personal events. Honored those who preceded us. And, sheltered the forest dwellers. A finished bowl is my attempt to showcase it’s natural characteristics using various oil and wax finishes applied by hand.